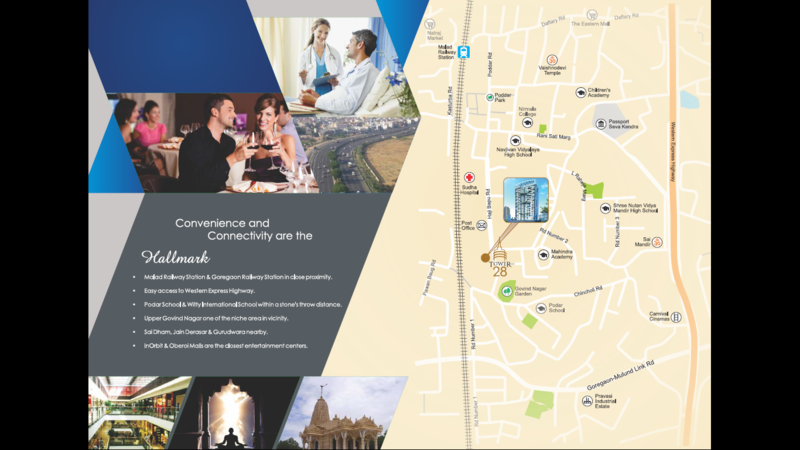 GREETINGS from AURA Homes (Marketing) & Right Channel Construction Pvt. Ltd. We are glad to inform you about a Residential project 'TOWER 28' by a very reputed builder. Location - Malad East. Architect - DOT Architects "Grab the Opportunity" - "Visit NOW" 👉 Hardly 10 Minutes Walkable From Malad Station Status :- IOA received; Site Office Operational; SAMPLE FLAT ready. 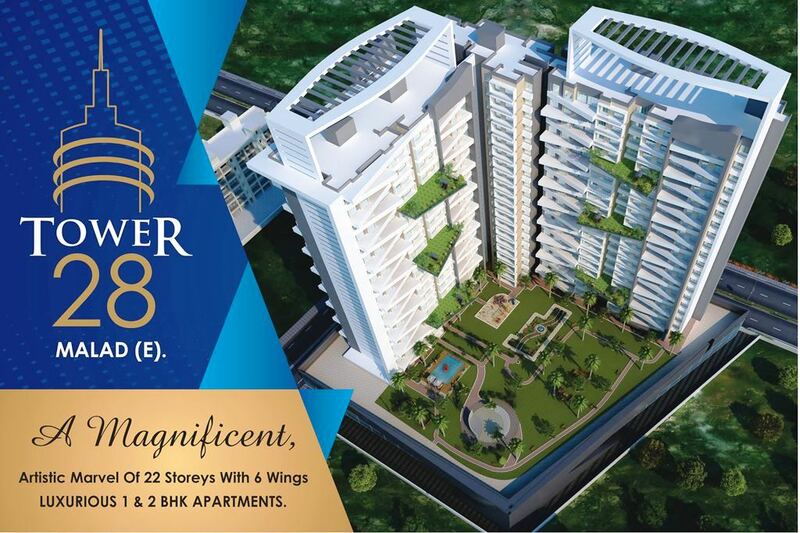 Possession :- DECEMBER 2018 * 6 wings of 22 Storey Tower ( Ground + 2 podium + 20 storeys residential ) * 1st residential floor starts from 3rd floor; 4 flats per Floor; AMENITIES :- 👉 Podium garden 👉 Gymnasium 👉 Children play area 👉 Jogging Track 👉 Swimming Pool 👉 Lavish Entrance Lobby INTERNAL AMENITIES :- 👉 Vitrified Flooring 👉 Jaguar Bathroom fittings 👉 Sound Proof Windows 👉 Semi Modular Kitchen 1 & 2 BHK Luxury flats 1 BHK - 670 Sq ft ( 406 carpet ) 2 BHK - 892 Sq ft ( 540 carpet ) 2 BHK - 990 Sq ft ( 600 carpet ) Floor Rise: Rs. 50 from 4th floor. Semi Modular Kitchen, parallel granite platforms with stainless steel sink.